When I received the media invite to the Skyline Luge Sentosa I was excited because I know DinoBoy will enjoy this but at the same time I was scared. I am not a fan of height, especially those that mean I am hanging high up in the air with nothing to hold on for my life. Regardless, I still went ahead to confirm our attendance because to see my son happy and have a chance to experience something new & dangerous is more important than my little fear or phobia. Frankly, taking the Skyline ride for the first time, I was petrified!!! Sitting strapped down by a safety bar on a chair that hangs on the cable by a small "metal thing"and moves slower than a snail uphill with the feet dangling below was way too much for me to handle. The noise made by 2 Luge karts hanging below our chair is affecting me too, I tried to distract myself by chatting with Adora and taking photos. The staffs said cheerfully to just "sit back, don't lean forward and enjoy the ride." We reminded the kids again when the chairlift started it's ascends and a few more times during the slow ride but DinoBoy and Poppy seems NOT to register that, causing me and Adora to panic for a while. Despite that, we still have to keep a calm face and speak calming to the kids telling them to "stop that, lean back, don't shake". I guarantee you that after the 2nd ride, you will feel better. I started to feel at ease and could enjoy the ride while taking in the breathtaking panoramic view of Singapore. And who came to my rescue??? My dear little boy!!! He told me to "put your hands beside you at the edge of the chair, lift yourself up and jump off." Yupe! I did what he told me and I was hopping off smoothly, even added a scream while jumping off just for the fun of it. 1 - Join the queue to board the skyline ride. 2 - Hop on the chair and take the Skyline up to the top of the mountain and remember to hop off on cue otherwise you will be traveling down back to the starting point. 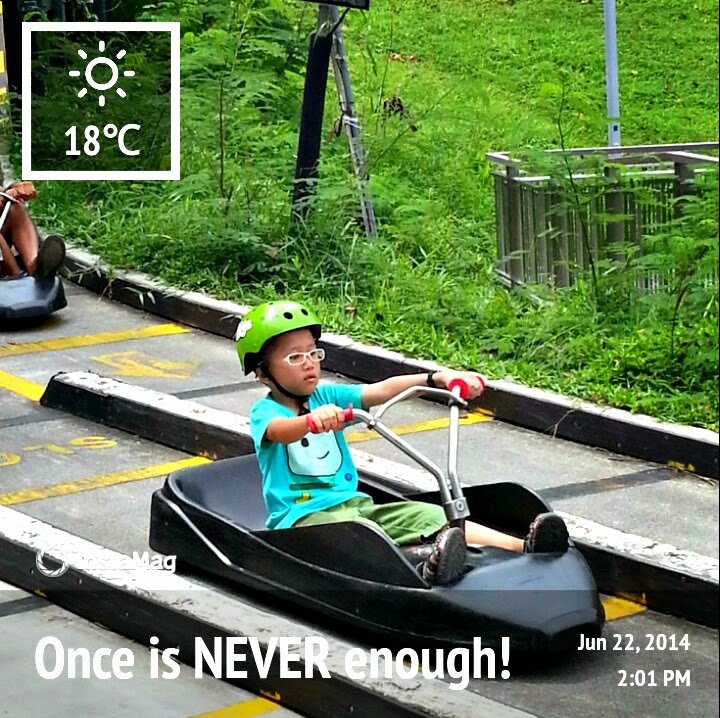 3 - Join the queue again and wait for your turn to be seated on the luge kart. Zip off and have fun!!!! 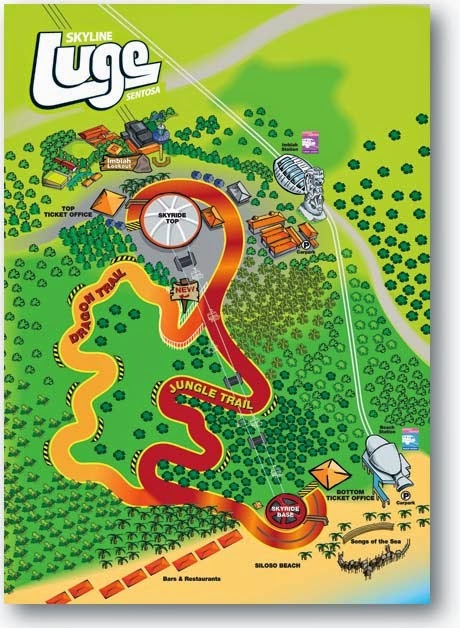 After that enjoy the wind slapping against your face and the thrill of zipping down the slope either on the Dragon Trail or the Jungle Trial. Start at 1 again! We took the Dragon Trail for the obvious reason and I know you will be taking that trail too! If you are getting thrilled by the rush of gravity force during the day, you will get adrenaline pumped up on the Worlds first and only night Luge with the darkness closing in and crickets singing. Take the Jungle trail for a mystical forest adventure then try the Dragon Trail for illuminated disco thrills. 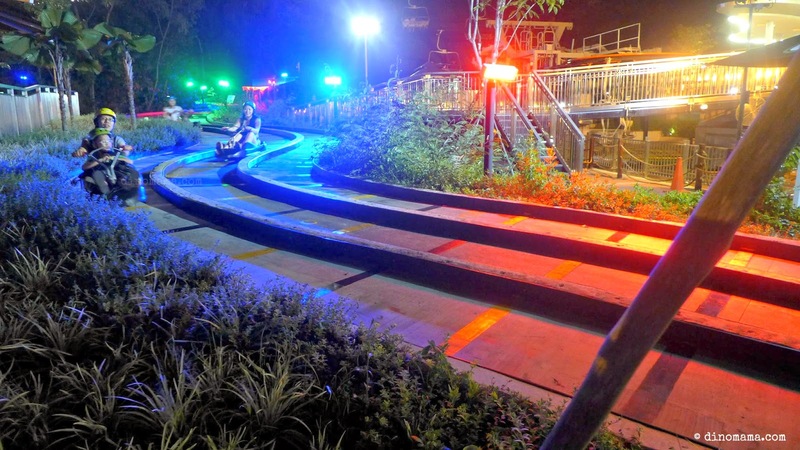 With the tracks light up by flashing lights and vibrant colors it will give you a whole new Sentosa Luge experience. 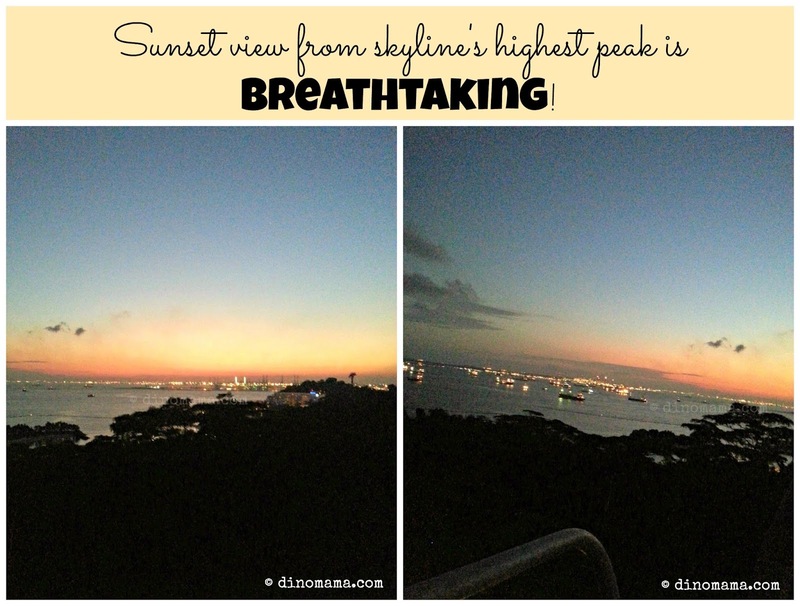 The day time view of Singapore while travelling slowly on the Skyline was beautiful but I was mesmerized by the sunset view, I felt so peaceful and content with the breeze on my face. We were back at the Skyline Luge a few days later on a Sunday with our friends! 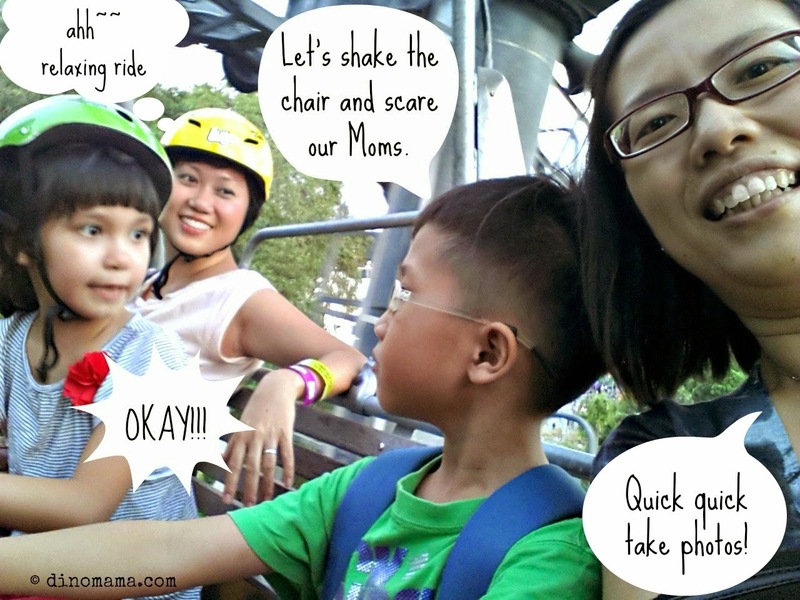 We had planned to visit Sentosa that weekend for the kids to have a last bit of fun before the start of new school term. I mentioned that to the Skyline Luge Sentosa person in charge over the nice dinner they provided during the media invite and he had graciously offered us some free ride tickets! Thank you so much Skyline Luge Sentosa!!!! The kids and adults had 3 hours of tremendous fun that afternoon! Even 60+ year old Grandma enjoyed it so much that she went 3 times! Look at her happy face in the photos below. We could not finish all the rides, we found a family checking out the ticket prices at the ticketing counter and bless them with it. It is a great family bonding activity where every one is sure to enjoy themselves to the max. Mummies and daddies, why not plan a Skyline Luge outing with your family during the September break? Bring the whole village and have a gigantic fun! 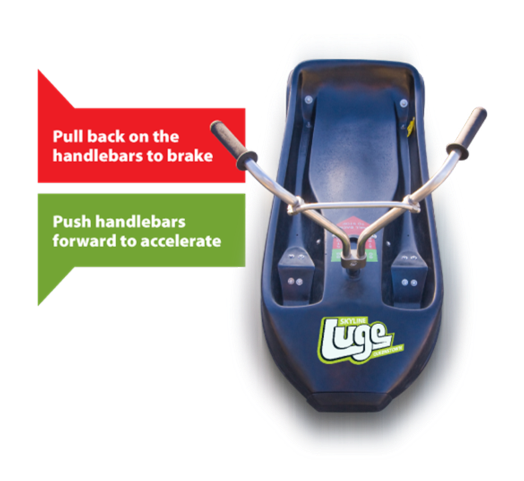 The purpose built Sentosa Luge carts provide the rider with full control over speed and direction using a unique braking and steering system. It's really easy, if Grandma can do it so can you! Note : For the first Luge ride of the day you are required to go for the learning ride where the expert staff will give you full instruction at the starting point. 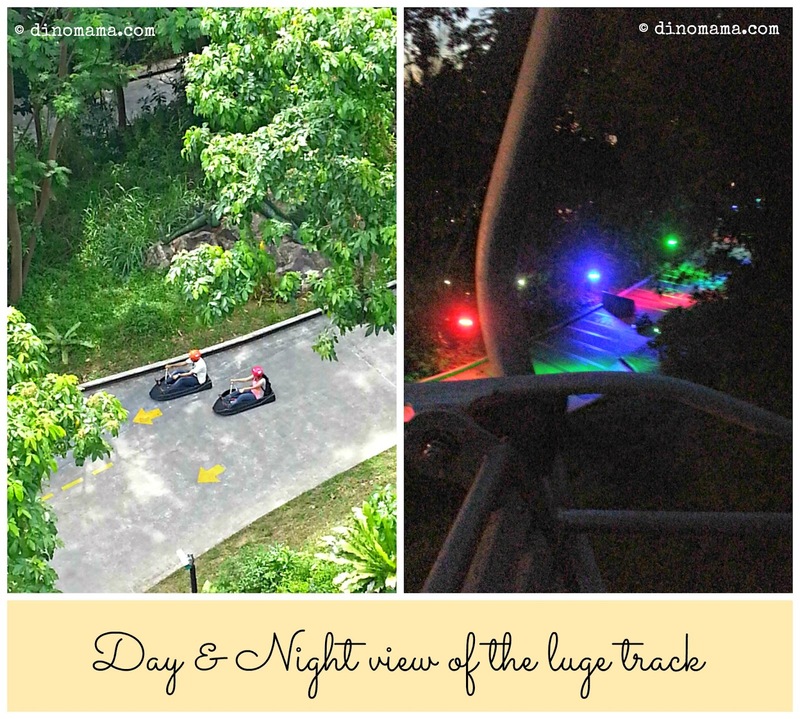 Sentosa Luge is located between Imbiah Lookout and Siloso Beach, it is open from 10am to 9.30pm daily all year! Click here on getting there and here for the Luge & Skyline ticket prices. 2. 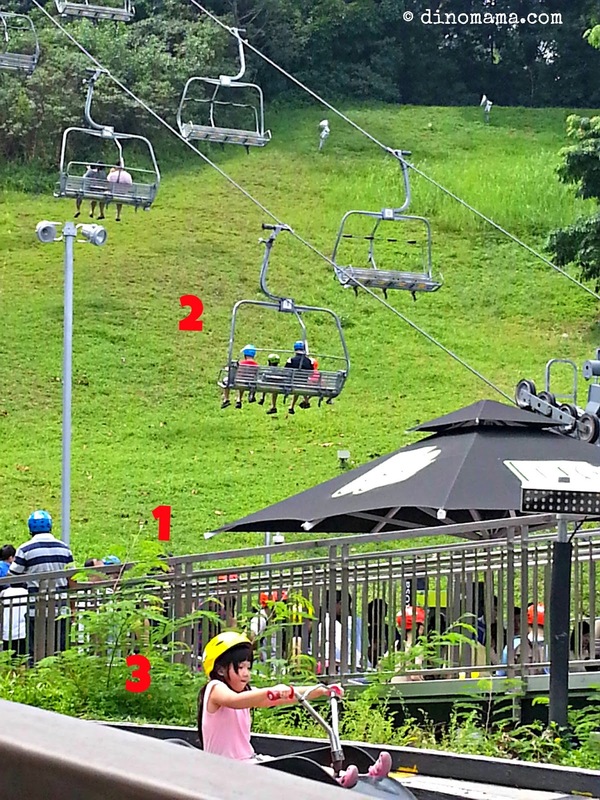 Passengers with heart conditions, motion sickness, back problems, other physical limitation such as epilepsy, vertigo and pregnant women are not allowed to ride on Luge & Skyride. Yes you are right!!! 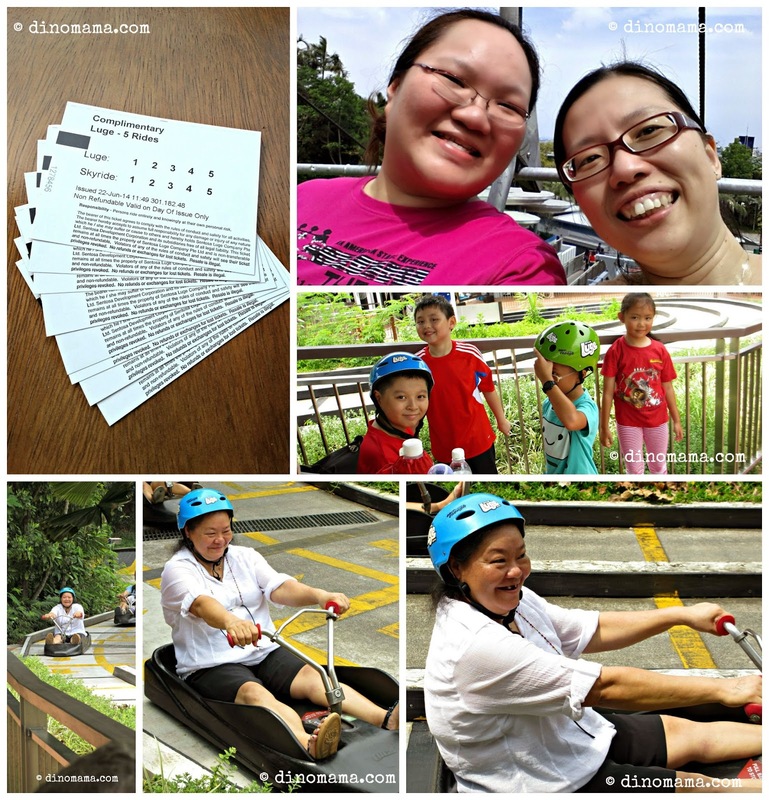 The nice people at Skyline Luge Sentosa are sponsoring the DinoFamily 3 sets of family tickets for a giveaway in our blog! Read more about the Giveaway Rules below. - An email will be sent to winners within 48 hours after the giveaway has ended. - Winners will have 72 hours to respond by replying to the notification email otherwise a new winner will be picked. - The winner will be contacted by sponsor directly for collection of prize. The DinoFamily will not be held responsible after we give the winners' details to sponsor. 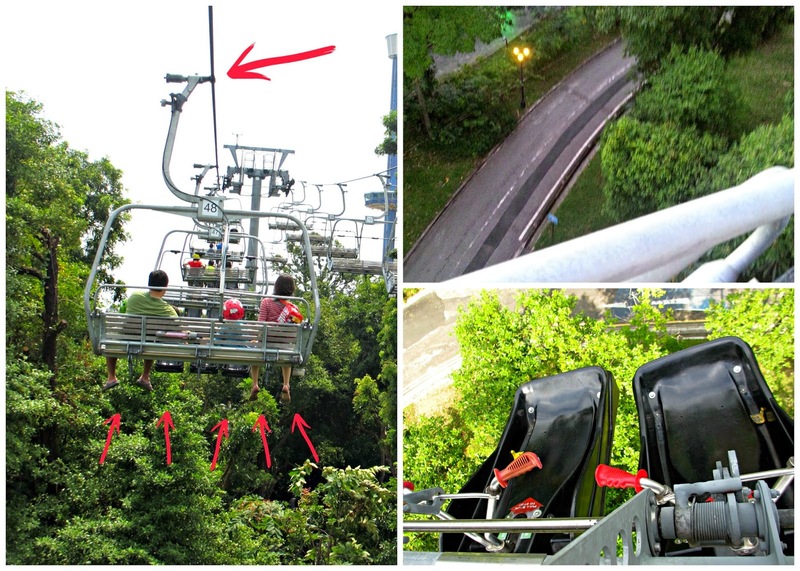 Disclaimer : We were invited by Skyline Luge Sentosa to experience their upgraded Skyline Luge. All opinions are 100% based on our experience on the new upgraded Luge track during the media invite and our visit . All photos are taken and belong to DinoFamily unless otherwise stated with proper photo credits. HiHi, thanks for the giveaway. My kids love the ride! I would love to try the ride with my family! Wow! Fun ride. I would love to try the ride with my family! My kid's dream to be on the Luge and I am keeping my hopes high to fulfill their dream. A perfect bonding time for the whole family, filled with laughter and screams!! Hoo Ray!! Will love to experience Luge with my kids.